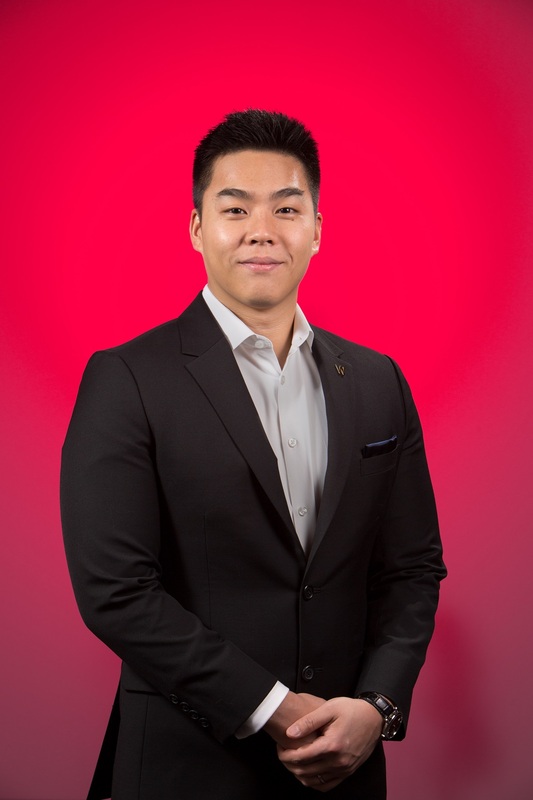 As vice-president of international affairs in the MBA Association, Jonathan Ng (MBA 2018) is a tireless resource and passionate advocate for his fellow international students who have gravitated to Foster and its gateway to Seattle’s dynamic business scene. But Ng is not exactly a newcomer. Though he was born and raised in Singapore, he earned his BS in industrial engineering at the University of Washington. He recalls a consuming feeling of initial isolation when he realized that he was the lone Singaporean in his class. It didn’t last long. Ng quickly found a company of friends from the US, Canada, Mexico, India, China, Malaysia and more. “I learned that by being inclusive and fostering a strong and meaningful community, I had become a better person. The experience has become the backbone of who I am today.” It also informs his inclusive approach to the Foster MBA Program—and especially his colleagues from far flung places who might find themselves feeling a bit lost or lonely at times. While looking out for others, Ng is also lifting his own career prospects through his leadership in Foster Tech and Level Up! He also interned at Amazon, where he pitched new product ideas to the Worldwide Deals and Events business, the team responsible for Amazon’s biggest shopping events, such as Prime Day. Ng will return to Amazon after graduation with an eye toward senior management and, eventually service on a corporate board. He might like to be a foreign ambassador someday. Why not? He’s demonstrated his ability to integrate cultures. What has been your most impactful experience at Foster? Being the MBA Association VP for International Affairs has given me the chance and privileged role to interact and really get to understand the different cultures/customs from the international community here at the Foster MBA. It has truly been an enriching experience for me and a key learning opportunity that I never thought I would get from an MBA program. How are you leveraging your Foster experience to prepare for future success? From a practical point of view, the Foster MBA program has already helped cover my gaps in business areas such as accounting and finance which I did not have an academic background in. It has also provided me opportunities to learn other skill sets such as SQL, R, etc. Indeed, during my internship at Amazon, I had to refer back to my previous quarter notes to solve an actual business issue (Free cash flows, the bane of my existence). Specifically though, I entered the Foster MBA program as a career switcher to eventually become a product manager in the tech industry. The program has given me opportunities to network with actual product managers from various tech companies and to learn best business practices from them. Additionally, I am currently taking multiple electives to enhance and firm my skill sets for that function. What about the Foster culture do you believe will particularly serve you in your career? Collaboration is hands down the top key value of the Foster culture that I truly believe will and has served me well. In my first three quarters at Foster, the program would assign us to different teams, typically with a mix of background experience, international/ domestic students and male/female. This imitates the reality of an actual work environment where you will end up on a team with people that you have never met before. You will need to collaborate effectively to leverage each individual’s strengths and weaknesses to achieve that common goal, in this way the Foster culture has given me that practical experience. When I look back at my internship at Amazon, I had to work in that exact same environment and by drawing upon my experience from my different teams at Foster, I was able to succeed in my internship. Do you have a favorite class? Thomas Gilbert’s BA 500 – Finance. Out of all the amazing professors that I have had met thus far in the program, he stood out as an individual who was interested in getting to know his students. Before the start of every class, he would walk around the lecture room and interact with us on our daily events while providing meaningful advice. He also has a great sense of humor. Jonathan Ng in the great outdoors with his wife, Joanne. I am an avid gamer and a firm supporter in the gaming industry. It is always ironic to me that when I was young, professional people I interacted with would often tell me how gaming would always be just that, a game and never a business. Now look at it, the global gaming market is worth more than an estimated $99 billion or more. This is why I am currently a VP in Foster Level Up! a newly formed club in the Foster MBA program designed to expose this industry to MBA professionals, connect them with industry veterans and provide opportunities to build a career there. What is your greatest source of strength? For me, it would have been my wife, Joanne. I met her in UW during our undergraduate days. She has always been the one constant source of inspiration and motivation. Without her, I doubt that I would have been able to accomplish as much as I have thus far. She is always pushing me forward to attain that next goal, challenging me to think big and always reminding me to give back to our community. Foster Futures is a series highlighting some of the students who are leading the Foster School into its second century—and themselves into promising careers. The series began in the winter issue of Foster Business magazine.